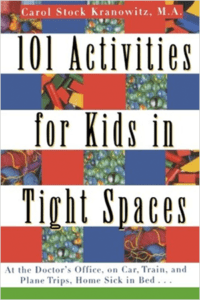 101 Activities for Kids in Tight Spaces: At the Doctor’s Office, on Car, Train, and Plane Trips, Home Sick in Bed . . .
Fun sensory-motor activities to engage children while they are waiting at the doctor’s office; on car, train and plane trips; home sick in bed; or in other confining spots.